up, Hawthorne began writing stories for Twice-Told Tales. These stories established Hawthorne as a leading writer. In 1842, Hawthorne moved to Concord, Mass., where he wrote a number of tales, including "Rappaccini's Daughter" and "Young Goodman Brown," that were later published as Mosses from an Old Manse. The overall theme of Hawthorne's novels was a deep concern with ethical problems of sin, punishment, and atonement. No one novel demonstrated that more vividly than The Scarlet Letter. This tale about the adulterous Puritan Hester Prynne is regarded as Hawthorne's best work and is a classic of American literature. 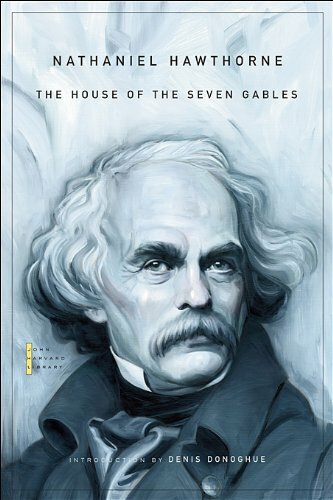 Other famous novels written by Hawthorne include The House of Seven Gables and The Blithedale Romance. In 1852, Hawthorne wrote a campaign biography of his college friend Franklin Pierce. After Pierce was elected as President of the United States, he rewarded Hawthorne with the Consulship at Liverpool, England. Hawthorne died in his sleep on May 19, 1864, while on a trip with Franklin Pierce. Denis Donoghue is University Professor and Henry James Professor of English and American Letters at New York University.